After months of speculations, rumours and leakes, Apple has finally lunched the iPhone 7 and iPhone 7 plus at the Bill Graham Civic Auditorium in San Francisco, USA. These latest release is an upgrade on iPhone 6 and iPhone 6 plus, having improved water resistant camera, display and also a new A10 chip. Both iPhone 7 and iPhone 7 Plus has the latest version of Apple processor - A10 Fusion, which is a 64 bit quad-core processor that is 40% faster compared to it's predecessor, the A9 and 100% faster than the A8, according to Apple. The A10 Fusion features two high-performance cores that will handle most demanding task, and two high-efficiency cores that run at one fifth of the power, which are used for less demanding tasks. 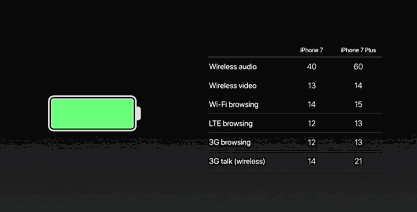 To manage these process of assigning task to different cores, Apple has designed a controller. A 6 core GPU in iPhone 7, uses two third of the A9,s power and half of the A8 power, thus, the GPU ( graphics processor) performance of the A10 Fusion is 50% better than the A9's, and three times as fast as the A8. It is rumoured to have been manufactured in Taiwan's TMNC, either on a 16nm process, or a more efficient 14nm process like the Snapdragon 820 that features in the Samsung Galaxy S7. iPhon 7 features a new Retina HD display which is 25% brighter than that of iPhone 6, and offers a newly wide colour gamut that achieves"cinema P3 standard colours". iPhone 7 also has an "end-to-end" colour management, and we also saw the return of the integrated 3D Touch layer that first made on last year's iPhone 6S. Apple has finally stopped producing the 16GB base storage variant of iPhone, the iPhone 7 and iPhone 7 Plus storage starts at 32GB, just like its rival, Samsung Galaxy S7. Apple has also added a new storage variant – 256GB. iPhone 7 and iPhone 7Plus are both available in 32GB, 128GB,and 256GB variants. Apple’s new iOS 10 software debuts on the iPhone 7. iOS 10 is much smarter than last year’s iOS 9, has a more powerful lock screen with glanceable notifications as well as advanced widgets. iOS 10 will also make better use of 3D Touch, with many functions accessible without having to enter a given app. Siri will also be a lot more powerful, thanks to the addition of third-party app support, and a new Home app is added to provide better support for smart home technology. "An aluminium body and form sheet ofglass describe a singular shape, one made with very few, very precisely engineered parts. Our obsession remains to continuously simplify and improve. From sculpting the camera housing directly out of the aluminium body to embedding the antenna withinthe enclosure, essentially making it disappear, each refinement serves to bring absolute unity and efficiency to the design." Apple's iPhone 7 is water and dust resistant which is IP67-certified. That basically means that keeping your phone inside a pool of water just to test its resistance to water is still stupid, but using it in the rain shouldn’t cause any hardware damage. The iPhone 7 now has an optical image stabilisation. There's also a wider f/1.8 aperture that takes in 50% more light. There is also a new Apple-designed ISP, a six-element lens, true-tone flash, and a 12-megapixel image sensor. According to SVP of Worldwide Marketing, Phill Schiller, “Customers are going to love taking pictures with iPhone 7.This is the best camera we’ve ever made on any iPhone. It’s also the best camera we’ve had on the front side as well. There’s a new 7-megapixel Face Time HD camera. This is up from 5 megapixels." Note, there's no dual-lens system on the standard iPhone 7, its only available on iPhone 7 plus. Schiller also talked about one extra new iPhone 7 Plus camera feature called the shallow depth of field. How does this work?, The new camera ISP scans the scene and uses machine learning to create a depth-map of an image. This allows the camera to keep the foreground (primary image) in focus, and applies a blur to the background. "It's something that is illustrative of a great camera," explained Schiller. "The quality of that background blur is called bokeh, and the quality of that is something found in great camera systems." Headphone jack on iPhone 7 removed! "The reason to move on, it really comes down to one word: courage. The courage to move on, to do something new, that betters all of us." Alternatives to the old headphone jack include earbuds connector, which you can connect one end to the charging port of iPhone 7 and the other end to the earbuds. 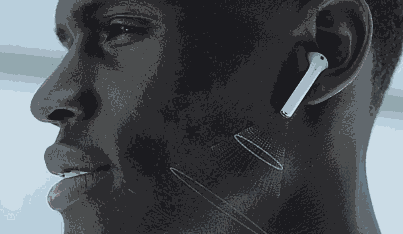 Apple is shipping the new iPhones with Lightning-connector earbuds, plus an adapter to convert old headphones too. Another alternative is bluetooth headphones. Apple announced its own wireless Apple AirPods during the iPhone 7 lunch, which feature a new W1 chip that has an infrared sensor that detects when its put in the ear. The new AirPods will also be coming in "late October" and will cost £159/$159. 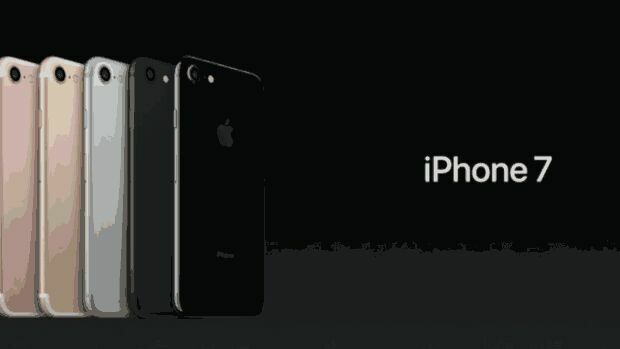 Apple has introduced the new Black and Jet Black to iPhone 7 colour options. There’s the usual Gold, Silver, and Rose Gold, it looks like they have removed the Space Grey colour option, so it’s definitely dead. Note that the Jet Black is only available on 128GB and 256GB models. It's also the only glossy colour option – the rest are matte. The iPhone 7 preorder date is September 9, while the iPhone 7 release date is September 16. The phones will ship in 28 countries at launch, with another 30 countries getting the handsets a week later.